Sales presentations are a crucial step to your reaching out and communicating with prospect clients. During such an opportunity, you get to make them understand the importance of what your brand can do for them. Because of this, it’s important that you make the most of the time you’ve been given. Delivering a successful sales pitch leads you one step closer to sealing the deal with a new client. Most people try to prepare for sales presentations as quickly as possible, thinking they can simply “wing” most of their pitch. Sure, you might have taken the time to prepare your PowerPoint deck and all the points you want to cover, but this isn’t enough to get you across the finish line. If you really want to succeed and impress your prospects, plan and prepare every aspect of your presentation. Take the time to do some research and prepare your materials long before your scheduled meeting. Plan how you’ll go about your presentation to make sure you don’t go over the time you were given. Be meticulous about every step, or you might end up with a half-baked pitch. Your ultimate goal is to seal the deal with your prospects. However, your sales presentations shouldn’t sound like a desperate bid to get hired. While hard selling has its own benefits, Gigaom contributor, Celine Roque, explains that its straightforwardness may not always work for everyone. Explore other avenues of pitching your product or service. Let your brand should speak for itself. Work hard to present all the significant features that are relevant to your audience by appealing to their experiences. During your preparation, try to learn as much as you can about your prospects: What particular challenge would they want to solve with the help of your product or service? After that, identify a few attributes that would be important to them based on what you found out through your research. You can have the most inspired presentation ever, but it won’t be any good if you can’t deliver properly. As compelling as your points might be, you need to make sure you sell them as best you can. Don’t waste a good opportunity by mumbling to yourself and avoiding eye contact. Face the crowd with confidence. If you’re feeling a bit nervous about it, we have plenty of tips that might help you shake off your anxiety. Rather than run away from your fears, face them and use them to your advantage. Your audience doesn’t know your presentation the way you do, so don’t be afraid to make mistakes. You’ll be surprised how much you can do when you put on a brave face. It’s hard to trust and engage with a presenter who talks without much regard to his audience. If you don’t take the time to pause and ask questions, your prospects might feel like you’re talking at them, rather than to them. This defeats the point of engaging them. Instead of this bad habit, make them feel like you’re in a productive conversation. Remember that you have to leave your prospects with a favorable impression of your brand and organization. A disengaged presenter won’t do that. Make eye contact and be pleasant throughout your presentation. Observe their reactions and ask for their comments if it looks like someone might want to share comments. Finally, keep in mind that PowerPoint design plays an important role in the success of sales presentations. As we’ve mentioned time and again, majority of people are visual learners. Seeing your pitch play out in front of them as engaging visuals can really add impact to the message you want to share. Step out of the mold and customize your design. 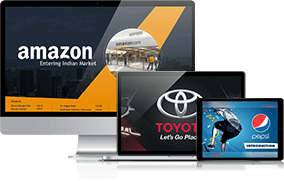 You can also browse through our portfolio for inspiration and contact our expert presentation designers for some extra help. 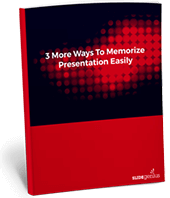 “Design Ideas: How to Improve PowerPoint Templates.” SlideGenius, Inc. December 9, 2014. Accessed March 3, 2015. “How to Shake Off Your Pre-Presentation Jitters.” SlideGenius, Inc. November 6, 2014.Accessed March 3, 2015. Roque, Celine. “Hard Selling vs. Soft Selling: Which Approach Do You Use With Clients?” Gigaom. February 25, 2009. Accessed March 3, 2015. “The Visual (spatial) Learning Style.” Learning Styles. Accessed March 3, 2015.